Worth a watch. Catch it at a cinema near you! When we were first told that we'll be watching the screening of a teenage romantic comedy centered around an acapella group, we expected something along the likes of 'Pitch Perfect'. But boy, were we wrong. 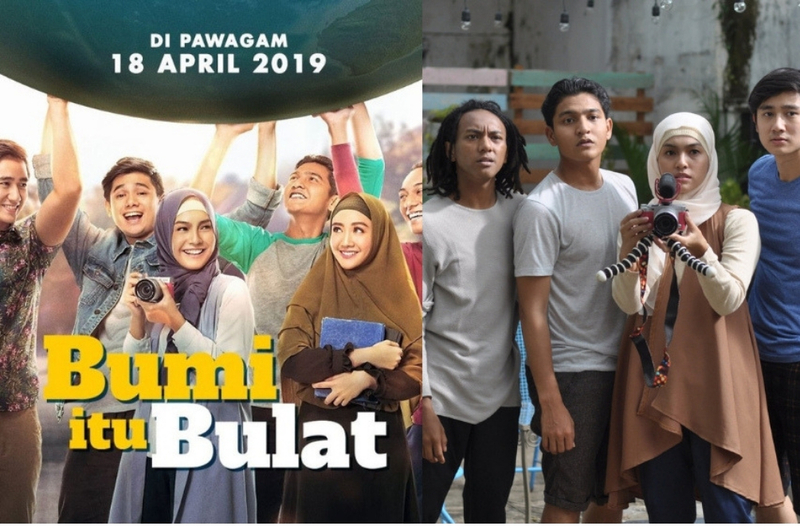 While there is comedy and romance in Indonesian movie 'Bumi Itu Bulat' (The World Is Round), it is by no means a fluff piece. Produced by Astro Shaw and Inspiration Pictures, the movie explores race and religious issues in Indonesia, patriotism and the need to fight against extremist thinking. All these were blanketed with the main story of Rahabi (played by Rayn Wijaya), who is a member of acapella group Rujak Acapella - Rujak because the group is made up of members from different ethnicity, religion and gender. The group members try to get a recording deal but is told that they will have to get former hottie turned religious extremist Aisha (played by Febby Rastanty) to be a part of the group to get signed. Rahabi goes to great lengths to get Aisha to perform with them (there's some family drama that fuels his determination), which creates a rift between him and his friends. We know it sounds like a lot is going on in a one-hour-forty-two-minutes movie, but the way it was written and directed made the movie easy to swallow. Some parts of the movie can be a little uncomfortable to watch because of how close it hits home, but it's the kind of discomfort that comes with discussing controversial but important topics. At the end of the day, the movie is one that is necessary for today's time and age, regardless of where it was set. The movie was based on an original story written by Robert Ronny and Vera Varida, and directed by Ron Widodo. You can catch it in selected cinemas beginning 18 April but only for a limited time, so hurry and book your tickets.